"Clarity! Make sure that your message is clear about what your business does and who you serve. What makes your service or product unique? 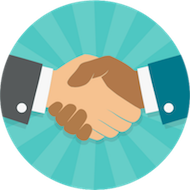 What can someone expect when doing business with you? Share enthusiasm for what you do so that others get energized enough to choose to engage with you." Welcome to JNET - Join Now! 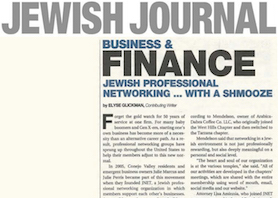 The premier Professional Networking Organization within the Jewish community, JNET is committed to serving its members and facilitating business relationships in our community. Attend a meeting, with no cost for first-time guests. Enjoy schmoozing, introductions, and inspiring speakers and programs. 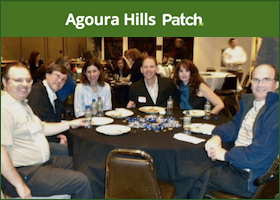 Join local Jewish businesspeople and give your business--and theirs--a BIG boost! Already a Member? Log In for More! Networking Workshops - FREE to Members! Enjoy supportive discussions, receive valuable feedback from fellow participants, and get useful tips from a brief presentation on marketing for your business. Workshops are free to members. Email Dalia Hayon for more information and to sign up! Check out this video from our South Bay chapter! Visit the Resources page to learn more about these member benefits and how you can take advantage of them. There you will also find How-To tutorials and helpful step-by-step instructions.